"Only God could do this... Hollywood could not have written this script!" 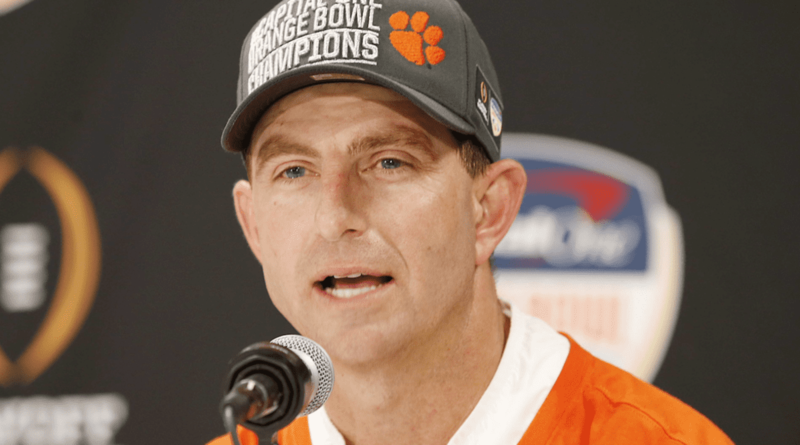 Clemson University’s head football coach, Dabo Swinney, credited God for their national championship win in Santa Clara, California earlier this month. Dabo’s No. 2 Tigers stomped on No. 1 Alabama at Levi’s Stadium on Monday January 7th, cruising to a 44-16 victory. Clemson ended the season with a 15-0 record, which is a first in modern college football history under the playoff system. Trevor Lawrence picked apart the Crimson defense on his way to 347 passing yards, three touchdowns, and no interceptions. Still Dabo believes God was responsible for their win. “For me personally, joy comes from focusing on Jesus, others and yourself. There are so many great coaches that are so deserving of a moment like this and never get the chance to experience it. And to get to do it once and then to get to do it again, it’s a blessing, and it’s just simply the grace of the good Lord to allow us to experience something like this,” he said in an interview right after winning the championship. Dabo has never been shy to talk about his faith. He knows who was responsible for the team’s victory. 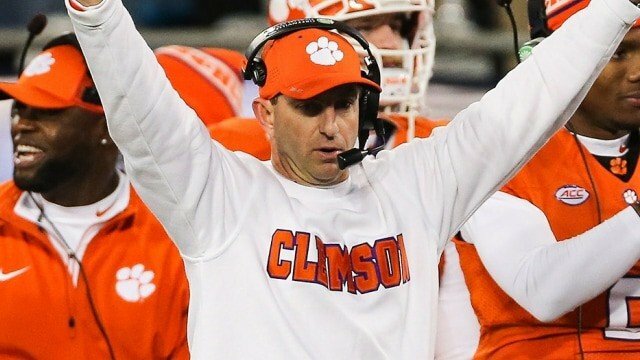 “People think I’m crazy or quacky or whatever, but only God can orchestrate this,” Dabo said in a television interview. Coach Dabo Swinney is an unashamed Christian. Before of the season last July, he opened up about his Christian faith during a press conference and explained that he was brought up by his parents who taught him about God. But he explained that it wasn’t until he was 16-years-old that he came to Christ.